Entry Requirements:Minimum 6 GCSEs at Grade 9-4 mainly at Grade 6 or above. Art at Grade 5 is preferable but not essential. The Fine Art course will give you an exciting opportunity to explore ideas, materials, processes and techniques in depth. You will have a wide range of facilities in print making, painting, mixed media, sculpture and photography. Studio access is available at all times. 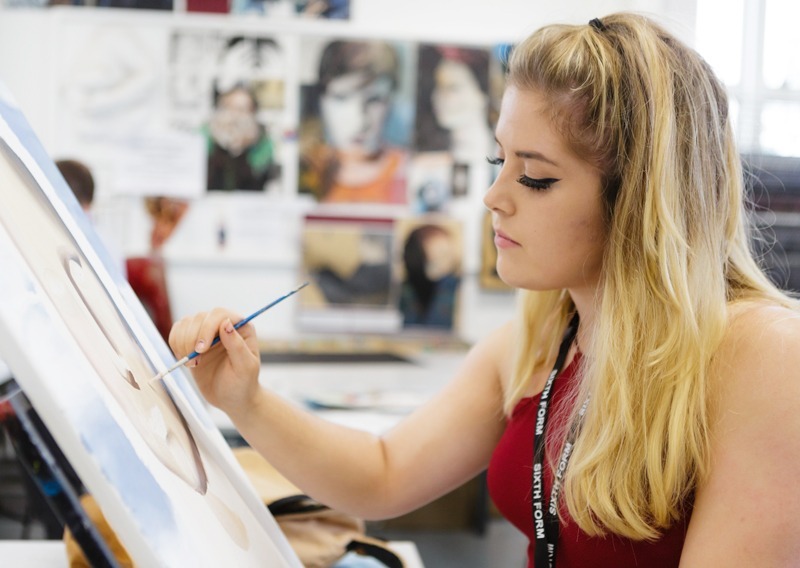 There is an excellent sense of support and friendship amongst our art students, and clear help and guidance is offered by teachers of the course at all times. The course includes study trips to London and local galleries and museums. The course is assessed through both coursework and final practical exam at the end of the two years. This course will prepare you for a Foundation course in Art and Design prior to a Degree course. What do our students have to say about the course? Entry Requirements:Minimum 6 GCSEs at Grade 9-4 mainly at Grade 6 or above. Art at Grade 5 or Textiles Technical Award at Merit or above is preferable. You will have the opportunity to develop skills over a broad range of textiles and fashion techniques and applications such as printing, weaving, knitting, mixed media, digital applications, surface design, embroidery and installation. Practical work is produced by researching and developing ideas using drawing, digital exploration, sketchbooks and work sheets, supported by critical evaluation and an awareness of contemporary and historical influences. This course will prepare you for a Foundation course in Art and Design prior to a Degree course, a wide range of Textile related industries, or courses related to the fashion business. Entry Requirements: Minimum 6 GCSEs at Grade 9-4 mainly at Grade 6 or above. Core and Additional Science at Grade 6 or above and Mathematics at Grade 5 or above. You will develop a set of skills including practical, comprehensive, evaluative and statistical, all within the framework of the most elegant and fascinating subject content. Biology is an extremely complex yet simple subject where key ideas have multi-layered facets. We range from looking at the structure and function of tiny organelles within cells to the dynamics governing whole ecosystems. Biology A-level is challenging and rewarding and you will be amazed at the progress you will make over the course of two years. Our dedicated team of teachers will offer you both support and inspiration to allow you to develop skills you will be proud of. Biology is an essential component for any degree involving the Biological Sciences. It is also recommended for any medical or healthcare related degree. This course helps students understand the nature of chemicals and chemical processes. You will look at the key concepts of Chemistry including aspects of physical, inorganic and organic chemistry including analysis and characterisation of novel compounds. The aim is for students to develop a conceptual understanding and become competent and confident practitioners. Practical skills are developed and assessed through an ongoing teacher led practical endorsement. A-level Chemistry is an entry requirement for Medicine, Dentistry, Pharmacy, Veterinary and Forensic Science. Entry Requirements:Minimum 6 GCSEs at Grade 9-4 mainly at Grade 6 or above. You will have the opportunity to experience and develop both performance and choreography in both solo and group situations, as well as engage in critical thinking about dance across a variety of contexts, genres and styles. It will help you to develop a healthy lifestyle in terms of physical and mental well-being by promoting creativity, exercise and training. Assessment is through a practical component which involves both choreography and performing and accounts for approximately 50% of the course. There will also be a formal written examination including 3 essays on selected set works (50%). This A-level course can lead to further study of Dance at Higher Education or pursuing a career in Performing Arts. Design Technology at Grade C or above. You will be expected to work independently on your work and ideas. The ‘state of the art’ Design & Technology building is freely open for Design students to use. This course will prepare you for a Foundation course in Design or a wide range of Design or Engineering degree courses at University or apprenticeships. Entry Requirements:Minimum 6 GCSEs at Grade 9-4 mainly at Grade 6 or above. English Language at Grade 5 or evidence of performance. a written exam in Year 13 based on three set texts, part of which requires you to analyse live theatre. Drama develops confidence, team-work and communication skills necessary to all career routes. Students can continue to study Drama at Higher Education. Entry Requirements:Minimum 6 GCSEs at Grade 9-4 mainly at Grade 6 or above. Mathematics at Grade 5 and English Language at Grade 5 or above. You will gain an insight into how aspects of our daily life depend upon the economy we live in; decide whether you are a left-wing ‘government interventionist’ economist or a right-wing ‘freemarket’ economist by studying theories and practices; investigate the markets for smart-phones, music and clothes; evaluate the latest government policies for the NHS, education and benefit systems; and discover the inside story on trade wars, immigration and financial markets. Lessons include group discussion and debates, news report analyses and independent study as well as enrichment opportunities. The terminal examinations are 20% mathematical skills and 80% multiple choice, data responses and essays based on knowledge, understanding and application. Look forward to a range of careers in marketing, international business, government, banking, finance, international affairs and non-government organisations. English Language at Grade 5 and English Literature at Grade 5 or above. topical language issues and you will learn how to write about those issues in ways which communicate your knowledge to readers who don’t have your linguistic expertise. Non-examination assessment gives you the opportunity to carry out an investigation into an area of language of your own choosing. The course is taught through discussion, language study and independent investigation. All Language students need to be able to write accurately and coherently. English Language provides you with knowledge and skills which are valued in careers such as Law, Teaching and Journalism. Entry Requirements: Minimum 6 GCSEs at Grade 9-4 mainly at Grade 6 or above. English Language at Grade 5 and English Literature at Grade 6 or above. can be interpreted in a variety of different ways. The ability to communicate fluently, accurately and effectively is an essential skill for all Literature students. Trips to see set texts, particularly plays, in performance will be offered whenever possible. English Literature develops skills which are valued by a wide range of professions such as Law, Journalism, Advertising and Teaching. as a medium of representation and as an aesthetic medium. You will broaden your knowledge and understanding of specific films and the range of responses that films can generate. You will study American and British films from the past and present as well as independent and mainstream cinema. You will study significant film movements to understand the development of the medium. Production work also gives you the opportunity to create a short film or screenplay. This course can lead to further academic study at higher education and careers including film making, film writing, journalism, education and curating. Entry Requirements:Minimum 6 GCSEs at Grade 9-4 mainly at Grade 6 or above. French at Grade 6 or above. This course will enable you to build on your existing speaking, listening, reading and writing skills and develop an understanding of the culture of countries and communities where French is spoken. French cinema, Literature and History will play a prominent part of the course and you will learn about current affairs and popular culture through music, video and the media. debates and discussions. By the end of the course, you will achieve greater fluency, accuracy and confidence. You can use your linguistic skills in fields including the diplomatic service, journalism, education, law, accountancy, business, industry and finance. Geography at Grade 5 and English Language at Grade 5 or above. You will learn about the opportunities and challenges of globalisation – the economic, political and social changes associated with technological and other driving forces which are a key feature of the global economy and global societies. You will question natural world processes and environments and how they work: Are deserts advancing? Are floods on the increase? Can seismic hazards be mitigated? You will study how human and physical environments are changing and understand the world around you or hear about in the news. The subject is taught through discussion, research, data collection, presentations, report writing, role play and a variety of local and overseas fieldwork opportunities. Geography bridges the Arts and Sciences, giving flexibility for Higher Education courses and those in Planning and Environmental Management. Entry Requirements:Minimum 6 GCSEs at Grade 9-4 mainly at Grade 6 or above. German at Grade 6 or above. cultural background and history of countries or communities where German is spoken. writing and reading activities. A trip to Berlin is also offered. A second language is essential in today’s multi-national business world. This course complements a number of higher education courses including Business, Politics and Economics. Government and Politics is the study of power and the issues that affect you – locally, nationally and globally. You will study UK political parties and their leaders, elections and the arguments surrounding them, and the way the UK is governed. 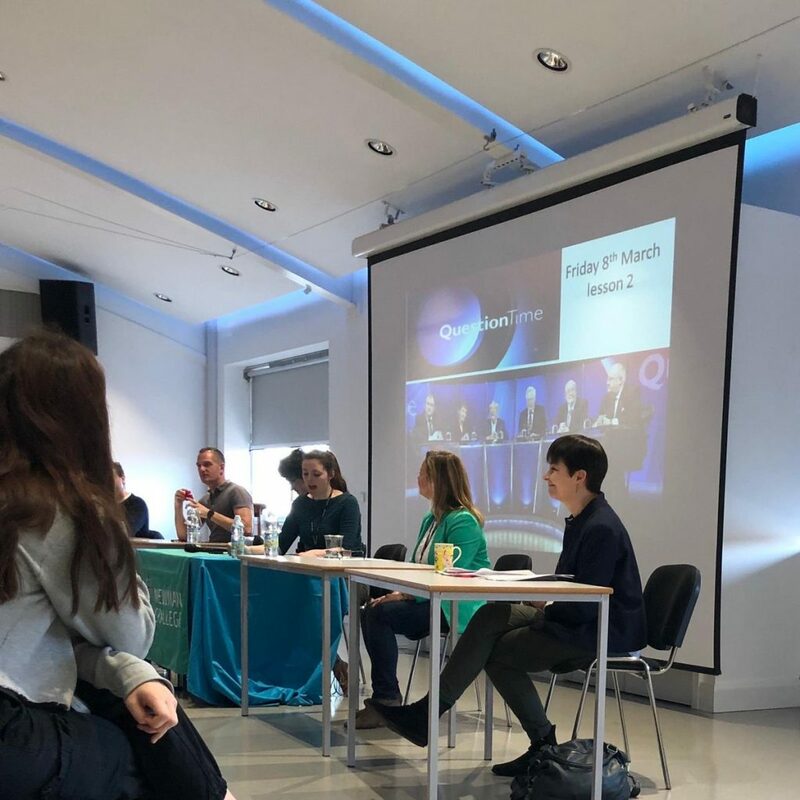 The course also covers various political ideologies, and in Year 13, students study Global Politics in addition to their work on the politics of the UK. The course is exam-based and you will be expected to write essays discussing different viewpoints and arguments, as well as reaching your own informed conclusions. This course can lead to a number of higher education political-based courses. The subject also complements other subjects such as History, Geography, Law and Economics. English Language at Grade 5 or above, History, if taken at GCSE a Grade 5 is required. You will explore German, Russian, American and ‘Revolutionary’ British History and investigate the people and events that changed the world. You will take an active role using discussion and debate to uncover the past and decide for yourself how you view the issues. You will study different topics across a chronology of at least 200 years. listen to university lecturers and experience a trip to Berlin. This course develops skills which are valued in a wide range of degree courses and careers. Entry Requirements:Minimum 6 GCSEs at Grade 9-4 mainly at Grade 6 or above. English Language at Grade 5 or above. You will investigate how laws are made and applied, who administers them and what happens when laws are broken. In Year 1, topics include the legal system, criminal law, the law-making process and the law of tort. In Year 2, you will also study the nature of law and Human Rights legislation. at the end of Year 2. You will get the opportunity to see law in action through court visits, a Houses of Parliament trip, and talks from personnel involved in the law. Law is an excellent springboard to a University Law degree or getting into the legal profession. The evaluative and critical skills learnt are also valued by universities and other career providers. The aim of the Mathematics Academy is to support and encourage the study of Mathematics into post-16 education and to create a community within Newman College with academic excellence at its core. 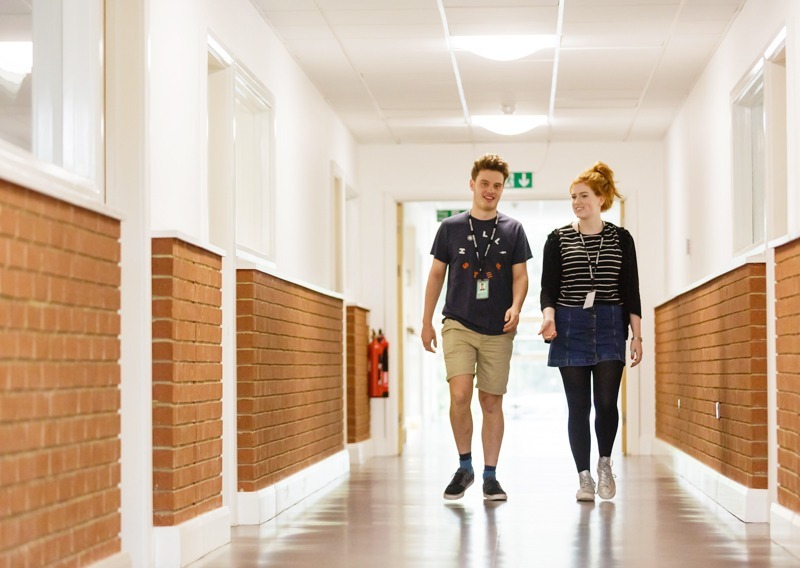 Working in partnership with the University of Sussex, it is our belief that success in higher education and future employability are greatly enhanced by continuing to study a mathematical discipline. All students who study A-level/ AS-level Mathematics or Statistics are automatically part of the Academy and will benefit from exceptional teaching by specialists in both pure and applied Mathematics. They will also be able to take part in enrichment days and workshops at the University of Sussex which will help to show how the Mathematics they study is used to solve real world problems. 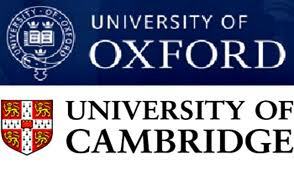 visits and first class preparation for oxbridge entrance exams including STEP for Cambridge and MAT for Oxford. All of this builds on the college’s history of success in securing places at top universities for Mathematics students. Mathematics at Grade 6 or above. used in many aspects of our everyday life. In Mechanics you will study Newton’s laws of motion and how objects behave under the action of forces. In Pure Mathematics you will gain an in-depth understanding of calculus which you will then be able to apply to the other two disciplines. It is assessed by three exams at the end of Year 13, two of which are Pure Mathematics. Students who perform exceptionally well in Year 12 may study an additional AS-level in Further Mathematics in Year 13. Students can also study Year 12 over two years and gain a Mathematics AS-level. A natural follow on from GCSE Statistics, you will learn advanced techniques within the framework of the statistical enquiry cycle and how to apply statistical techniques to data sourced from a variety of contexts. There are two written terminal examinations at the end of Year 13. Note: Students can take Statistics and Mathematics. Students cannot take Statistics along with Further Mathematics. Mathematics: Statistics can increase the possibility of gaining a place on a degree course in Biology, Chemistry, Psychology, Economics and Geography. Mathematics at Grade 7 or above. You will study the entire Mathematics A-level course in Year 12 and sit the terminal examination at the end of this year. You will then go on to study Further Mathematics in Year 13. This includes the study of complex numbers, further calculus and further mechanics. 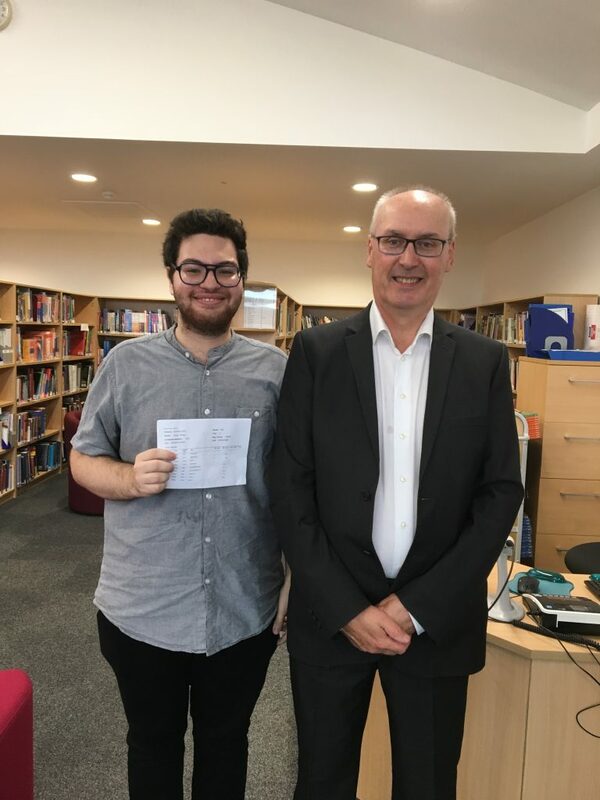 Students also have the option to sit the Advanced Extension Award (AEA) in Pure Mathematics at the end of Year 12 which is ideal for any students who may go on to apply to Oxbridge Universities. Further Mathematics can increase the possibility of gaining a place on a degree course in Mathematics, Engineering or Science. English Language at Grade 5 or above. This course allows you to draw on your existing experience of the media and develop your abilities to respond critically to a variety of media texts. You will also work on the creative development of your own production skills based on your theoretical learning. The areas covered are: media language, representations, media industries and media audiences. This course can lead to a career or higher education opportunities in publishing, journalism, film and television, Marketing, events management and digital media. Music at Grade 6 and Grade 5 on instrument or voice. With an emphasis on musicality and practical music making, this course is designed to integrate the skills of listening, performing and composing. 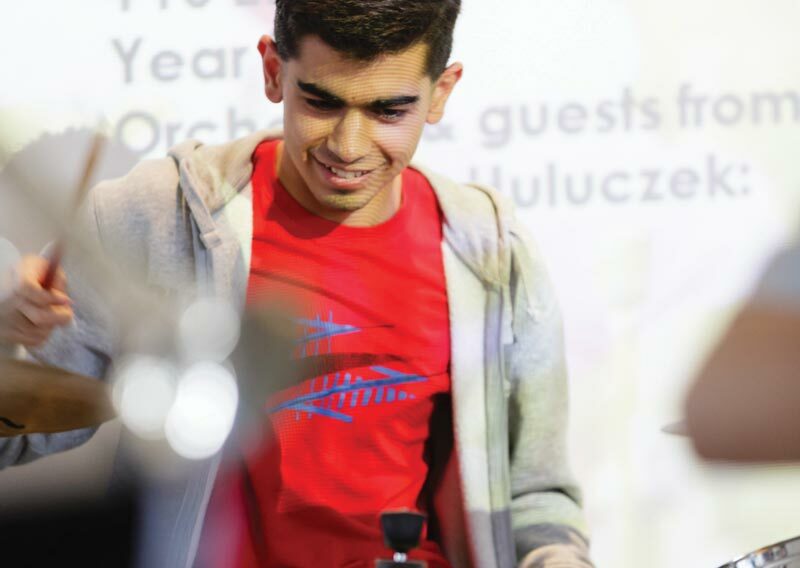 As well as studying a broad range of musical styles, including Classical and Popular music, you will have the opportunity to explore performance and composition in detail. You can choose to specialise in either performance or composition. There will be a range of concerts for you to take part in throughout the year including our legendary Jazz and Pop nights and termly concerts. There are opportunities to visit prestigious venues such as Glyndebourne Opera House and to join our annual music tour abroad. Many students go on to a Music degree or to a Conservatoire. Music is accepted for a number of other University degrees including Oxbridge. This course has three components: Philosophy, Ethics and Developments in religious (Christian) thought. Philosophy covers the nature of ‘God’ and challenges to religious beliefs both ancient and modern. Ethics covers the classical ethical perspectives and applies ethics to a number of real issues. revelation, faith and reason, and the challenges of secularism and pluralism. The course develops thinking, comprehending, weighing up ideas, arguing and evaluating which are valued skills in a wide range of degree courses and careers. Art at Grade 5 is preferable. to excel. The second year is more independent and you will develop a ‘personal project’ and a final practical exam project. The course includes trips to London which are invaluable for developing knowledge of other photographers and are really enjoyable days out. This course prepares you to go onto a photography diploma, a creative media foundation course and degree level courses. You will also gain analytical and creative thinking skills. Entry Requirements: Minimum 6 GCSEs at Grade 9-4 mainly at Grade 6 or above. PE at Grade 5 or BTEC Level 2 Sport Merit. 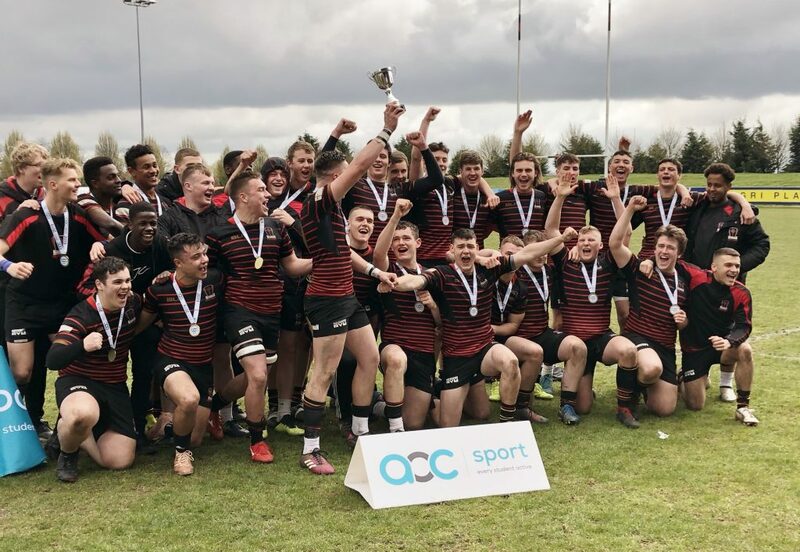 You will study four main areas of physical education including: physiological aspects, psychological aspects, biomechanics and socio-cultural aspects of sport. You will also work on one physical activity which can be performance-orientated or coaching. A mark will be awarded for your performance and your oral analysis of a sportspersons performance in that sport. Classes are both practical and theory-based. Assessment takes place at the end of each year through both written examination (70%) and coursework/practical performance (30%). Core and Additional Science at Grade 6 and Mathematics at Grade 6 or above. You will learn how the world around us works and get an understanding of the universe. You will learn what is going on inside an atom and test your problem-solving ability and logical thinking. Classes are taught through teacher-led explanations and demonstrations, group work and practical work. We have strong links with Sussex University to update us with current research, take part in subject days, use their laboratories and attend lectures. You will also have the opportunity to visit the European Laboratory for Particle Physics in CERN, Switzerland. Note: Physics A-level should be taken with Mathematics A-level. Physics can lead to careers such as Engineering, Astrophysics and Meteorology. 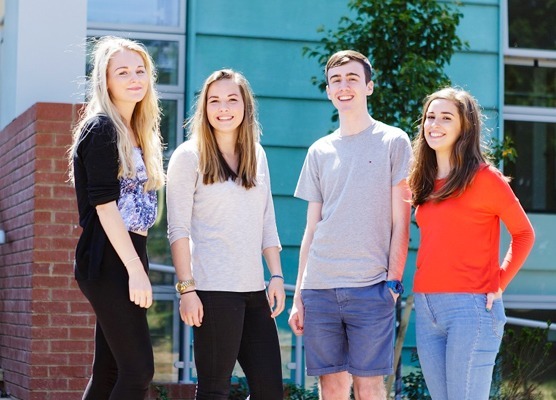 It is a highly desirable A-level for a great range of degree courses. Core and Additional Science at Grade 5 and English Language at Grade 5 or above. autistic people behave in the way that they do. You will also develop the key skills necessary to independently undertake research into particular aspects of human behaviour. By understanding the use of questionnaires, observations, experiments and correlations you will be able to apply these skills to practical problems in the real everyday world. This course can enable you to pursue a wide range of psychology-related careers in sectors such as Education, Criminal and Clinical Psychology. and learn about issues you may not have thought about before, such as class, gender and race inequalities. Lessons include presentations, discussions, debates, newspapers, magazines, internet sources, extended reading and outside speakers. Sociology is valuable for many careers – including Government, Commerce, Social Work, Journalism, the Media, Law and Market Research. The aim of the course is for you to independently and confidently communicate in Spanish using accurate, complex and varied language. You will also be encouraged to explore and understand the history, politics and cultural background and heritage of Spain and other countries and communities where Spanish is spoken. You will study social issues and trends, films, art and literary works in Spanish speaking countries. This will be done through discussions, debates, oral and written presentations, listening and reading activities, independent research and analysis of authentic sources, including the internet. Speaking a second language will improve your employability in today’s multinational business world. A foreign language means global employment opportunities. The Level 3 Extended Project Qualification (EPQ) allows you to independently investigate, in depth a topic of your choice. The EPQ usually takes a few months to complete and is worth the equivalent of an AS-level. Highly regarded by many universities and employers, it shows you have interest, determination, initiative and a high level of independent study skills. 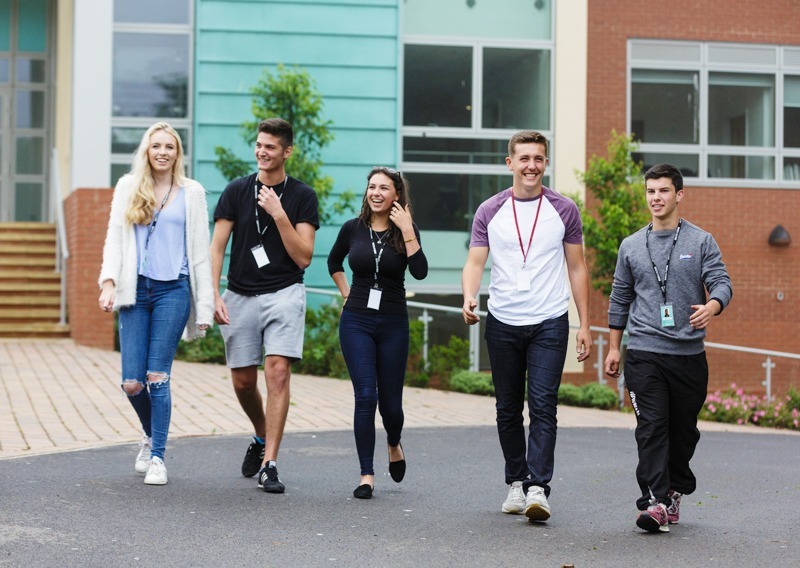 The qualification epitomises the skills and qualities both Newman College and universities want a student to embody as an able, committed independent learner. Some universities offer places based on an EPQ compensatory grade for another A-level. Entry Requirements:Minimum 5 GCSEs at Grade 9-4 mainly at Grade 4 or above. You will get a detailed understanding of a range of interesting aspects of business such as Marketing, Finance, Event Management and International Business Economic Environment. Finance and mandatory and optional coursework units which are both internally and externally assessed. Due to the great breadth and depth of business knowledge gained, students have various options including Marketing, Finance and Accounting and Business. This is a practical course where you will study important vocational skills in communication, health and safety and equality and diversity. You will gain in-depth knowledge of human growth and development through the life stages and an understanding of the anatomy and physiology of human body systems. Independent and team work skills will be developed through research, groups tasks, discussions and presentations. These provide the background to coursework assignments in class and external examinations. You will integrate your knowledge with real-life experience by applying all work to a health and social care setting. This course prepares you for a wide range of careers and higher education courses such as nursing, midwifery, speech therapy, social work, teaching or the emergency services. Entry Requirements: Minimum 5 GCSEs at Grade 9-4 mainly at Grade 4 or above. Information Technology involves the use of computers in industry, the arts and is a key attribute and skill required for most jobs. In the Extended Certificate (single option), you will study aspects of Social Media, Web Design and Relational Database Management. This course is a stepping stone to a range of University courses including interactive media, web design, information management, computer science, artificial intelligence and system architecture. law and procedures to scenarios and will also gain an understanding of the laws governing aspects of tort. You will get the opportunity to see law in action through court visits, a Houses of Parliament Trip and visits from personnel involved in the law. Assessment will be by coursework and examination. This course is for those considering a career as a legal secretary, legal executive or paralegal. It is also a stepping stone for a range of University courses including Law. Music at Grade 6 or evidence of production skills. You will learn how to make professional sounding recordings in a range of different popular musical styles. You will gain hands-on experience in how to use Logic to manage every stage of the production process from sequencing, to making multi-track audio recordings and how to use effects processing to create finished tracks. You will develop your composing skills, using technology to manipulate and control sounds including sampling, synthesis and creative use of audio effects. You will improve your knowledge of music production including how sound is made, recorded and mixed through practical tasks and listening and analysing popular music. Many students go on to music production or sound engineering courses. Entry Requirements:Minimum 5 GCSEs at Grade 9-4 mainly at Grade 4/Pass or above. PE at Grade 5 is preferable but not essential. You will need to have an interest in sport or watersports. will learn a range of outdoor adventure disciplines which are not confined to the classroom. Coaching, Alternative Pursuits, Outdoor Adventurous Expeditions, Leading Water- based Activities. You will also gain RYA (Royal Yachting Association) Qualifications in a number of watersports including powerboat, first aid, dinghy, windsurfing, sailing, seamanship and safeguarding. This course will prepare you to work in the watersports industry as a sailing or windsurfing instructor, or you could go on to do a Sport related degree at University. In the first year, you will learn about the principles and applications of science and cover some of the key concepts at level 3 in Biology, Chemistry and Physics. You will also have a practical introduction to the use of standard laboratory equipment, scientific procedures and techniques. Year 1 is internally assessed. In the second year, you will learn science investigation skills which is externally assessed. You will also learn about the physiology of human body systems which is internally assessed. This course is a stepping stone to higher education, degree and professional development programmes such as apprenticeships as well as employment. PE at Grade 5 or BTEC Level 2 Sport Merit is preferable. methods, such as presentations, observation and assignments. The course contains both theoretical and practical lessons for students to gain best knowledge of the units. There will also be a large proportion of independent study involved. This course is a stepping stone for a range of University courses including: Sports Science or Physical Education Teaching. It will also prepare you for a career in the sporting or leisure industry. Geography at Grade 4 is preferable. is an important destination in global tourism. You will gain a greater insight into this important sector which is particularly relevant to Brighton & Hove. A range of varied activities will help you learn the skills and content needed including group work, mind-mapping, presentations, research and discussions. Assessment is mainly by coursework assignments completed in class which is approximately 75% as well as 25% examination. This course will prepare you for seeking a career in the Tourism industry locally, nationally and internationally. Entry Requirements: Minimum 3 GCSEs at Grade 9-4 mainly at Grade 3 or above. This course provides an engaging, practical and relevant introduction to the world of Business. You will explore a range of business types and understand the factors that influence success through analysing business models. You will also have the opportunity to study retail-based units for application in the real world. This course is delivered and assessed through a variety of methods including research-based coursework, presentations and role-plays. The course is assessed through 75% coursework and 25% examination. Completion of this course will give you the opportunity to study Business and/or other BTEC subjects at Level 3.
moving image production and audio production. activities will be used to prepare you for these assignments. There will also be a written assessment in the form of a written examination. Students are supported and prepared to move onto Advanced Level courses such as AS or A-level Media Studies as well as employment. This course has been designed to engage and enthuse young people with an interest in creative computing. You will learn digital design skills and use digital tools to express creativity in an informed and responsible way. You will learn about developing web products which accounts for 25% of the final mark and is exam-based. You will also learn about artwork and imaging which accounts for 75% of the final mark and is project-based. This is a practical course where you will study important vocational skills in communication, health and safety and equality and diversity as well as learning about human growth and development through the life stages. Independent and team work skills will be developed through research and group tasks, discussions and presentations. These provide the background to coursework assignments in class and one or two examinations. You will integrate your knowledge with real-life experience by applying all work to a health and social care setting.